Score not based on an average. "Prehistoric Add-On Pack improves an incredibly good game." 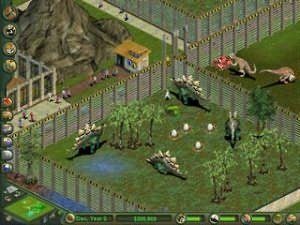 Fans of Zoo Tycoon will love Dinosaur digs. Offering heaps of prehistoric animals such as the woolly mammoth, and T-Rex, Dinosaur Digs also offers new buildings, new attractions, new foliage, new staff, new shelters, statues etc. 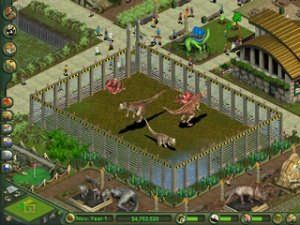 You will once again become lost in the world of Zoo Tycoon as all these new things become available to you. Dinosaur Digs can be played as just the DD add on, or can be added to your usual zoo - this is highly recommended as dinosaurs and their habitats are very expensive!! The dinosaur's are bought in egg form and cannot hatch without the help of a scientist so make sure you hire one as soon as you buy your first dinosaur. 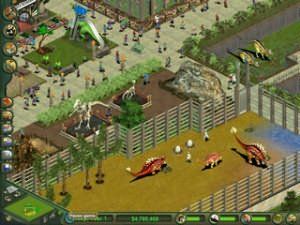 Not to mention the fact that with huge dinos in the park you will need special forces to bring them in should they escape. Rampaging dinosaurs do not a happy guest make! DD has brought along several new features that will enhance your zoo. You can now choose to hide buildings, visitors, and foliage which gives you access to all areas on the map, and allows you to find your zoo staff if you need them urgently. These are good, however my favourite new feature is found at the Zoo status button. Called Zoo Buildings, you can now see all your buildings and sort them by months in operation, profit, frequency of guest use, or building type. This is FANTASTIC!!! I don't know how we ever did without it in Zoo Tycoon. This allows you to (quickly) isolate the buildings that are making a loss, and sell them. It also shows you which things are making the most money, which may cause you to buy another one etc. This can make the difference between a profit and loss. It's all the little touches that make Dinosaur Digs so wonderful and essential to the Zoo Tycoon enthusiast. We must confess that it's not often that an add-on makes such an impact on the original product that quite possibly it should have been included in the first place. 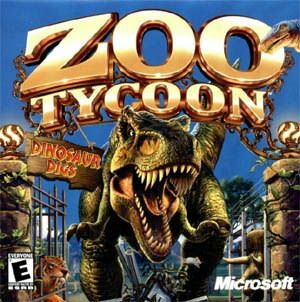 Zoo Tycoon: Dinosaur Digs is totally a must buy game from Microsoft and this is why we award it an even higher total score than the original.